i Sea 10! Math Game is a family friendly game that is perfect for any child that enjoys math. The game requires players to take turns flipping over cards. The first person who can identify a combination of numbers that equals 10, yells out “I Sea 10!“. The player must then explain the calculation of the numbers that combine to total 10. However, beware of the shark cards. If you flip over a shark card, you have to put back all of your pieces. This game is ideal for ages 6 and older. Make combinations of number cards to add up to 10. Rules: Any player who can make 10 with 2 or more cards (like 2 + 8, or 3 + 5 + 2) can call out “I Sea 10!” and keep those cards. The player that collects the most sets of 10 wins. Sharks Cards: Game play requires players to utilize their math skills and also adds an exciting element of luck. The game includes 10 shark cards. 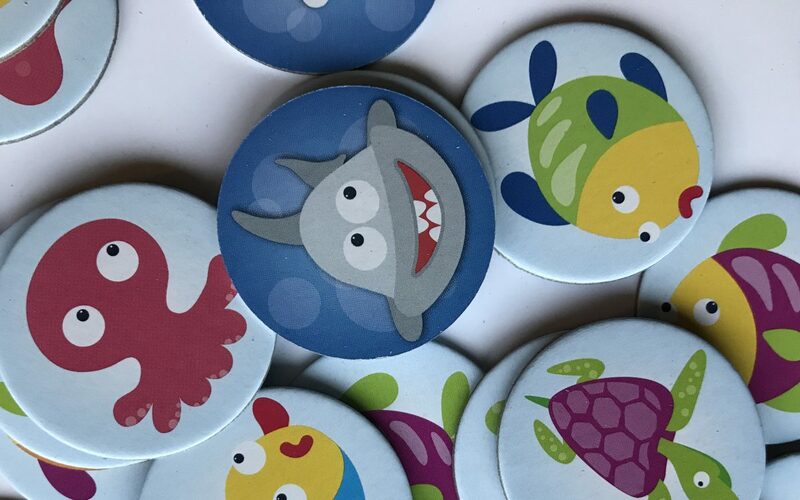 If a player flips over a shark card, that player has to put back all of their pieces. Promote Social Skills: I Sea 10! math game is a great introduction to playing games with others. The game lets children practice following rules, taking turns, being a good sport, and of course….math. Portable: I Sea 10! math game is conveniently portable. The box is 3.5″ x 3.5″ x 6″ so you can easily bring this game with you on vacation and trips. We really like this easy to play game. 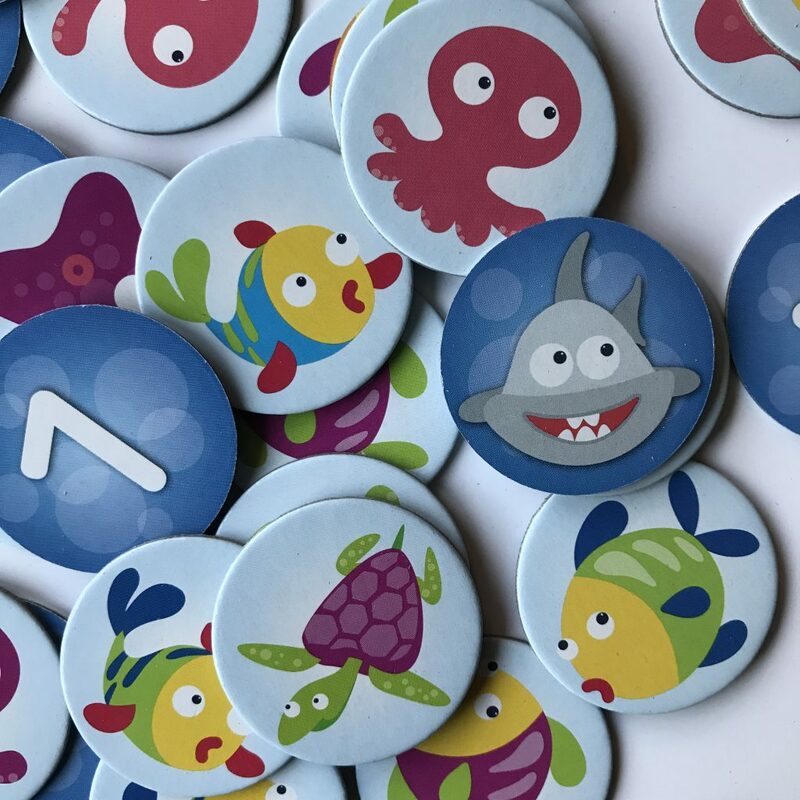 According to the National Council of Teachers of Mathematics, young learners’ future understanding of mathematics requires an early foundation based on a high-quality, challenging, and accessible mathematics education. Learning not only takes place in the classroom but also at home. 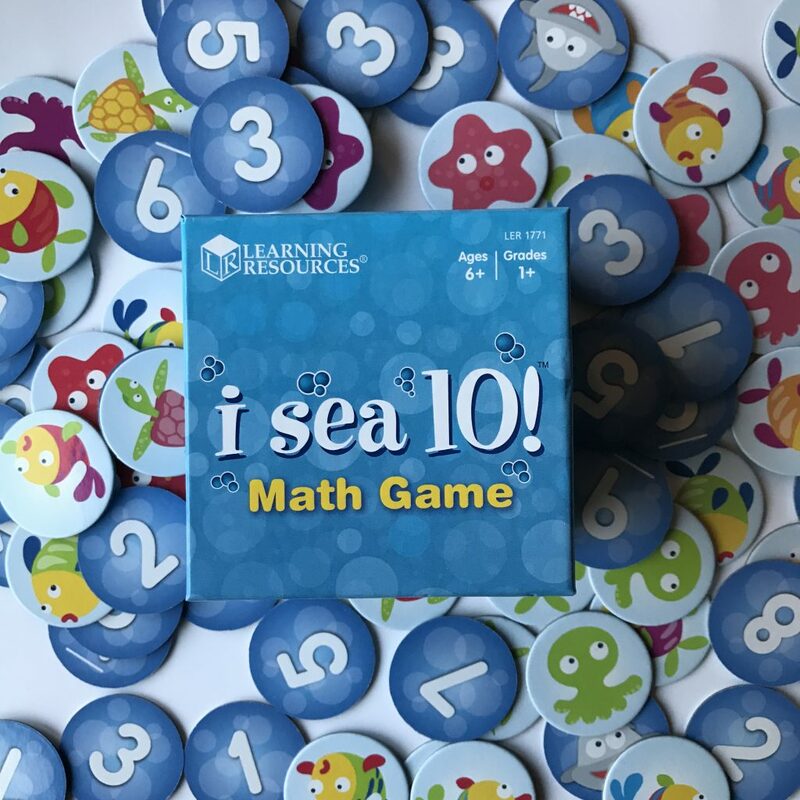 This sea-themed game is a great way to supplement your child’s learning. 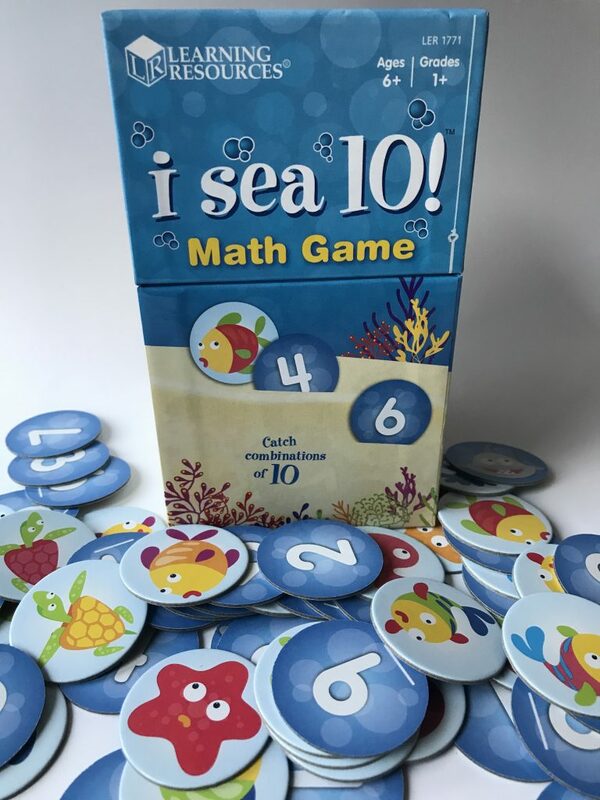 This game encourages kids to “catch” combinations of ten, which is a fun and easy way to practice math skills. This is an excellent game that reinforces learning. Recommended age: 6 years and older.